Jewish-American held in Cuba since 2009 released after years of campaigning by his family for his freedom. Cuba has freed Alan Gross - a US contractor jailed on the communist-ruled island since 2009 - on humanitarian grounds at the request of the United States, a US official said Wednesday. US President Barack Obama and Cuba's President Raul Castro both scheduled statements at 1700 GMT, their respective governments said. 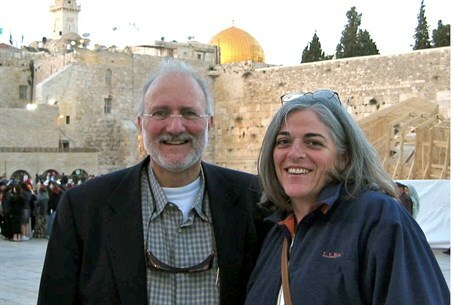 "This morning, Alan Gross has departed Cuba on a US government plane bound for the United States," the official said. "Mr Gross was released on humanitarian grounds by the Cuban government at the request of the United States." Gross, 65, was sentenced to 15 years in prison in Cuba in 2011 after being convicted of "acts against the independence or territorial integrity of the state" for allegedly distributing communications equipment as a contractor for USAID. Gross ended an eight-day hunger strike on April 11 to press for his release from prison. That hunger strike ended after a telephone conversation with his mother, who passed away two months later. The Cuban government has expressed its willingness to free Gross in exchange for the United States free the so-called “Cuban Five”, intelligence agents convicted in a 1998 U.S. spy case. Havana acknowledges the five men - two of whom have been released after serving their sentences - were agents but says they were spying on "terrorist" exiles and hails them as national heroes. Secretary of State John Kerry has said in the past that Washington would work to free Gross but outright rejected a deal with Havana to swap him for the five Cuban spies. However, Obama stated several days ago that he had been in contact with Cuban officials to secure Gross's release. Sources have told ABC News previously that the Obama administration takes seriously promises by Gross to not spend another year in the Cuban military hospital and to begin a possible death inducing hunger strike by the end of this year, and is looking for a solution with the Cuban government. Tags:Cuba, Alan Gross, prisoner, Cuba-U.S.